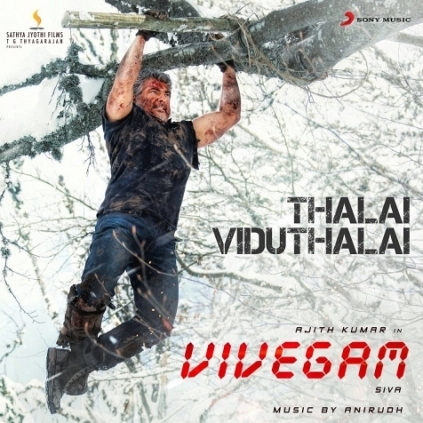 The second single of Vivegam, Thalai Viduthalai was supposed to release tonight at 12 AM. However, a minute portion of the song got leaked unofficially, which has been spreading virally over social media. Now, the team has come up with an announcement stating that the song will release three hours before than the originally announced time, i.e., at 9 PM. Music director Anirudh confirmed this with his tweet, "#ThalaiViduthalai releases at 9pm tonight on @Saavn "
We are just a few more hours away from listening to the second single of Vivegam, and we at Behindwoods request you all to wait patiently for the official version to release. Breaking: Will Vijay and Vikram clash at the Box office? People looking for online information on Anirudh Ravichander, Vivegam will find this news story useful.